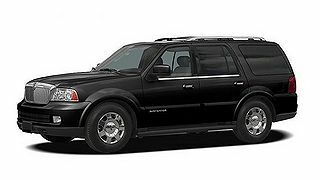 The Lincoln Navigator is a full-size luxury SUV marketed and sold by the Lincoln brand of Ford Motor Company since the 1998 model year. Sold primarily in North America, the Navigator is the Lincoln counterpart of the Ford Expedition. While not the longest vehicle ever sold by the brand (it is shorter than the 1958–1960 Lincolns and the 1969–1979 Lincoln Continentals), it is the heaviest production Lincoln ever built. Considering its Ford counterpart, it is also the Lincoln with the greatest cargo capacity and the first non-limousine Lincoln to offer seating for more than six people. The Lincoln Navigator was the first Lincoln (aside from the ill-fated Lincoln Versailles) to be produced in a factory outside the Wixom Assembly Plant since 1958. From 1997 to 2009, production was sourced at the Michigan Assembly Plant in Wayne, Michigan. Since 2007, production has also been sourced from the Kentucky Truck Plant in Louisville, Kentucky. Skip to 1:35 in the video to see the interior. Our interior is black leather!